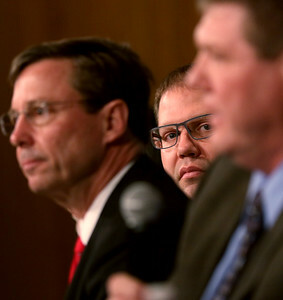 Matthew Apgar - mapgar@shawmedia.com McHenry County Board candidates Michael Skala, back, and Andrew Snarski, left, listen to James Kearns answer a question from the League of Women Voters at McHenry County College on Tuesday, Jan. 26, 2016 in Crystal Lake. 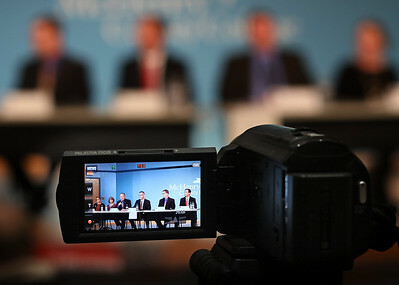 Matthew Apgar - mapgar@shawmedia.com McHenry County Board candidates from districts 4, 5, and 6 are video taped during a forum hosted by the League of Women Voters at McHenry County College on Tuesday, Jan. 26, 2016 in Crystal Lake. 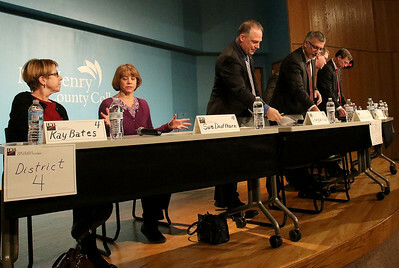 Matthew Apgar - mapgar@shawmedia.com McHenry County Board candidates from districts 4, 5, and 6 take their seats during a forum hosted by the League of Women Voters at McHenry County College on Tuesday, Jan. 26, 2016 in Crystal Lake. 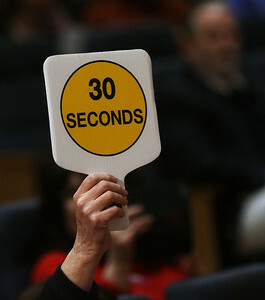 Matthew Apgar - mapgar@shawmedia.com Timekeeper Lee Ekstrom holds up a 30 second warning sign, letting McHenry County Board candidates know their time limit is approaching to answer questions on Tuesday, Jan. 26, 2016 at McHenry County College in Crystal Lake. Matthew Apgar - mapgar@shawmedia.com League of Women Voters President Paula Ekstrom begins the forum for McHenry County Board candidates from districts 4, 5, and 6 at McHenry County College on Tuesday, Jan. 26, 2016 in Crystal Lake. 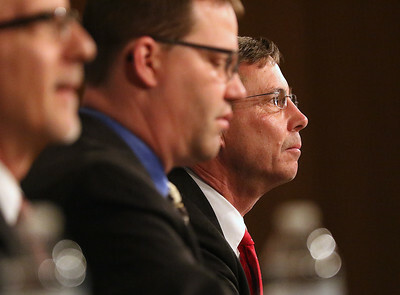 Matthew Apgar - mapgar@shawmedia.com McHenry County Board candidates (from left:) Joseph Calomino, Michael Skala, and Andrew Snarski listen to the questions posed to them during a forum hosted by the League of Women Voters at McHenry County College on Tuesday, Jan. 26, 2016 in Crystal Lake. 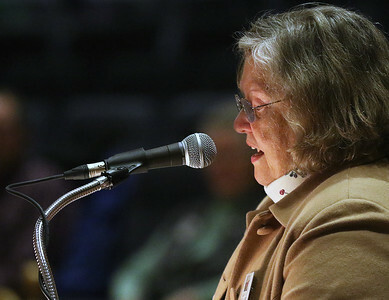 Matthew Apgar - mapgar@shawmedia.com League of Women Voters Vice President Cate Williams emcees a forum for McHenry County Board candidates from districts 4, 5, and 6 at McHenry County College on Tuesday, Jan. 26, 2016 in Crystal Lake. 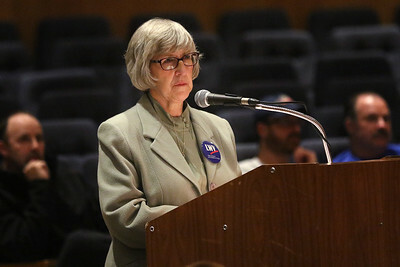 League of Women Voters Vice President Cate Williams emcees a forum for McHenry County Board candidates from districts 4, 5, and 6 at McHenry County College on Tuesday, Jan. 26, 2016 in Crystal Lake.